PERSONALITY: Well over a hundred years ago, Sri Lanka (then known as Ceylon), lost one of her greatest sons. He was a paragon of humankind, a peerless philanthropist and a prince of patriots. He was such a high-souled being that "time has only brightened a halo of reverence" around him. And that noble son of Lanka was Charles Henry de Soysa Dharmagoonewardene Wipula Jayasuriya Karunaratne Dissanayake, who passed away into history on 29th September 1890. Born on 3rd March 1836 at Idama in Moratuwa, he was a scion of an ancient warrior clan-the Manikku Nilayitta Artha Deva Nallur Adiarasa Warsha Wipula Sannaddha clan - whose original home was in Devinuwara, the "City of the Gods". He was the only son of Gate Mudaliyar Warusahennedige Jeronis de Soysa and Mututantrige Francesca Cooray. Though born with the proverbial silver spoon in his mouth, he was brought up austerely by his father. Nevertheless, he evinced from his boyhood those inherent instincts of charity which were to mark him out as a colossus of benevolence in later life. Educated by private tutors, he learnt his English at John Garth's English School at Rawatawatte and his Sinhalese at the Palliyagodella Temple; he rounded off his education at St. Thomas' College (then at Mutwal). Thereafter, he scorned delights and lived laborious days, learning in the hard school of experience to manage his father's vast estates and business concerns which he eventually inherited as the sole heir. On 4th February 1863 he married Moratuwa's richest heiress, Catherine, who was the only daughter of Chevalier Lindamulage Jusey de Silva and Weerahennedige Weerabala Jayasuriya Patabendi Ana Fernando. They were blessed with eight sons and seven daughters; one son died in infancy. Several years later his uncle Gate Mudaliyar Susew de Soysa who died childless, left him another large legacy. With wisdom and enterprise Charles de Soysa developed immeasurably the three legacies he had received from his father, uncle and father-in-law. He soon built up a "veritable economic kingdom" that included coffee, citronella, coconut and cinnamon plantations, plumbago mines, internal transport and external trade, besides valuable urban property in Kandy, Colombo and Moratuwa. One modern writer has estimated the extent of his lands at around 30,000 acres but, according to a family source, it was a figure closer to 100,000. Probably, never before or since had such wealth and property been concentrated in the hands of a single citizen of the country. But Charles had inherited something nobler and greater than remarkable riches; and that was the humane philanthropic tradition of service to his fellow-men, irrespective of race, caste or creed. Contemporary society is apt to over-rate the mere faculty of accumulating wealth. But it is far more difficult for a person to dispense wealth wisely for the benefit of society than to amass it quickly for his own selfish ends. With the key of Christian charity and in a spirit of patriotism, Charles de Soysa unlocked his abundant treasury for the welfare of his less privileged countrymen. "The test of the purity of his motives", writes one historian, "is that he is reported to have distributed far more in private charity than he had spent on his public benefactions.... His charity was not a mechanical doling out of money from an inexhaustible store, but a personal, loving and practical concern for his fellow beings". He was indeed a good Samaritan to countless persons in need and distress. Mr. C. H. de Soysa was a pioneer in many fields of endeavour. He established a co-operative society for carpenters and craftsmen in Moratuwa long before the co-operative movement was launched in Lanka. He introduced a system of free education and scholarships in the schools he founded in his home-town, nearly seven decades before the State began to sponsor it. He established and handed over to the Government the Alfred Model Farm of over 160 acres at Narahenpita for developing animal husbandry - the first of its kind in this country. He was the first person since the days of the Sinhala kings to build and equip a maternity hospital, viz., the De Soysa Lying-in-Home, now known as the De Soysa Maternity Hospital. He was a pioneer agro-businessman who played the role of a pathfinder to others who followed him. He started a land settlement and housing scheme for 100 families on one of his own estates in Walapone more than half-a-century ahead of the inauguration of such schemes during the State Council era. He gave employment to thousands and paid them just wages and often pensions too. He promoted the economic, social and moral welfare of the community at large in a patriachal manner in the nineteenth century, many decades before the concept of welfarism gained acceptance in the Twentieth, even in the West. In all these he proved to be a man of vision far ahead of his Victorian contemporaries. The example he set in philanthropy in our annals is undoubtedly unique. His manifold benefactions - their number legion - acquired such legendary fame in his own life-time, that the very name "De Soysa" passed into popular parlance a by-word for generosity. Schools, churches and libraries; roads, bridges and 'ambalamas', wells, tanks and irrigation channels; scholarships to individuals and endowments to schools and other institutions (these included St Thomas' College, the Medical College and Jaffna College); St. Matthias' Church in Lakshapathiya, a building to house the Anglican School at Koralawella; subsidies for the publication of educational and literary works by such erudite monks as the Ven. Weligama Sri Sumangala Maha Thera and the Ven. Ratmalane Dhammarama Maha Thera; lands for the landless, cemeteries and public buildings (including the site of the Lunawa Railway Station); donations and lands to temples, charitable institutions and various causes; books and clothing for poor schoolchildren; dowries for poor brides etc., - All these benefactions which, another modern historian has remarked, "defy credibility in their catholic sweep and diversified orientation", covered almost all human needs from the womb to the tomb! Of all the public benefactions of the great De Soysa, unquestionably the greatest were the Prince and Princess of Wales' Colleges, which he founded in his home-town almost under the very shade of the "Maha Palliya" - the Church of Holy Emmanuel - built by his father in the heart of Moratuwa. Jeronis de Soysa had provided for the spiritual needs of a section of the people when he created the majestic and sacred fame of Holy Emmanuel. But his son Charles went further, and established an institution no less majestic and even sacred in its own way for, it was a Temple of Learning ministering to the human mind and radiating its enlightening influence far beyond the parochial pale, to all sections of the community. This was to be his greatest gift as he felt it was "his duty to see the people of this country enjoy the blessings of education". It has long been an idea very close to his heart. C. H. de Soysa had no political ambitions. But he was ever-conscious of his duty to his less fortunate fellow citizens; He was sensitive to their needs, and attentive to their grievances. On 11th November 1871, Ceylon's first mass political meeting was held on the grounds of the De Soysa Walauwe in Moratuwa to protest against certain provisions of the Village Councils' Ordinance. It was presided over by C. H. de Soysa. Subsequently, a petition signed by 1,000 persons from "Morotoo and Galkissa", with Mr. de Soysa's name heading the list, was handed over to the Governor. Among other things, the petitioners asked that "the Ordinance might be printed in the native language and circulated among the people and that evidence be taken as to its merits and demerits". 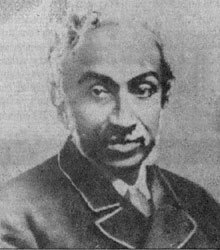 Mr. de Soysa was the founder-President of the Ceylon Agricultural Association (1882) which transformed itself into the Ceylon National Association in 1888. In later times it played a significant role in the struggle for constitutional reforms in the early part of this century with such celebrities as (Sir) James Peiris as President and D. R. Wijewardene (the Founder of Lake House) as Secretary. The Ceylon National Association eventually paved the way for the rise of the Ceylon National Congress which in turn played a decisive role in the penultimate lap on the road to Independence.